!! 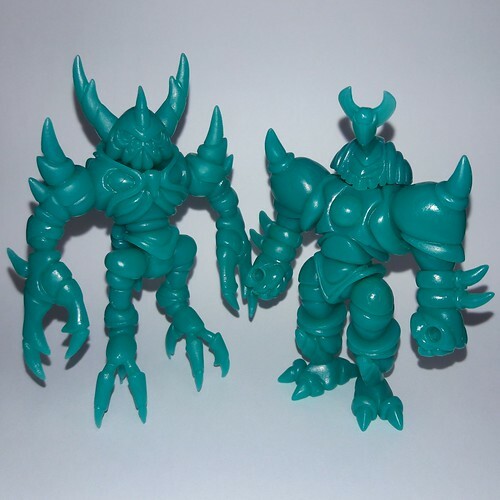 !2018 GLYOS SECRET SANTA ALERT!!! All should have their gifts mailed out by December 21st, if possible, but if there's any delay please let me know so I can give your recipient the heads up. Also, in an effort to best keep track of the gifts, please PM me the tracking number on your outgoing gift. Please feel free to use this thread to share pics of your gifts for all others to see. Following last year's guidelines, we'll continue with the rough price cap of $30.00. Just like previous years, you can give customs, but keep in mind that this is open for Accessory Set builds or older figures to be given, too. As always, the goal is in the giving, after all! As I mentioned previously, please let me know if there's any issues once we get to the gift swapping part itself. 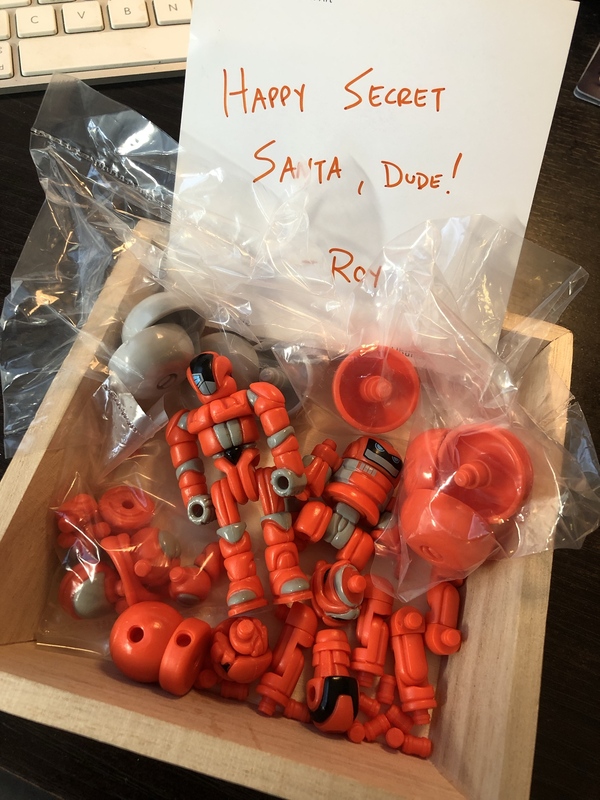 Over the years, the Glyos Secret Santa has successfully managed to have one single issue with an imbalanced or unreceived gift and I believe we can continue this fun tradition! I also want to send Kranix a special thank you for his handling of the Secret Santa swap over the years. And congrats or the wedding!!! Hey there & happy new year!! So, without further delay, here's the three prize packs you could win for being a participant in the Secret Santa swap. 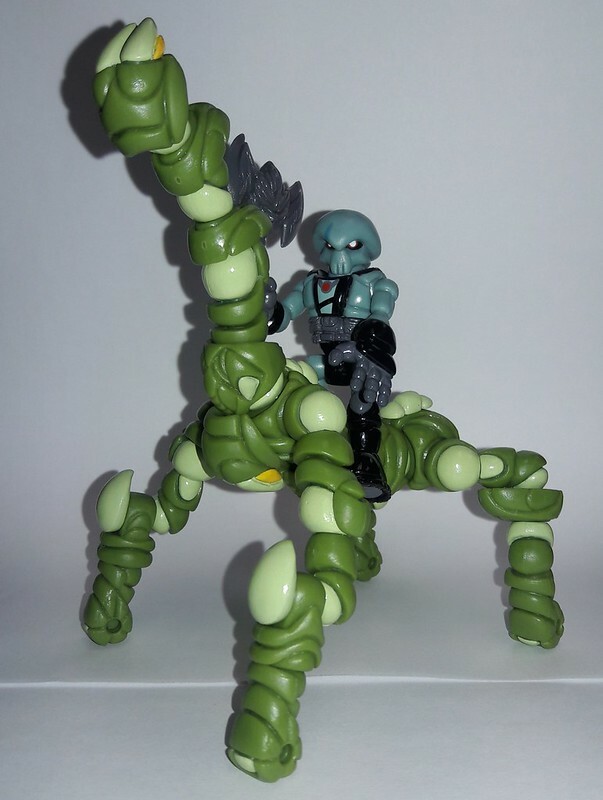 And just FYI, the spare parts and/or armor not shown in the pics will be included. After you've had a chance to check out the packs please PM me if there's any in particular you're not interested in winning, I don't mind doing three separate random drawings. Just a quick update, all tracking info for outgoing packages has been received & PMed to the corresponding recipient. If you haven't received your incoming gift's tracking number from me please let me know. And don't forget to post pics of your gift. That said, I hope you were smarter than me & not waiting in line buying last minute gifts like I am at the moment. I'll have a follow-up post sometime tomorrow with the contest drawing details. Have a Merry Christmas, Happy Holidays or whatever it may be that you celebrate with family & friends! Still verifying who my secret Santa was, but needless to say, I'm super excited about what I got. 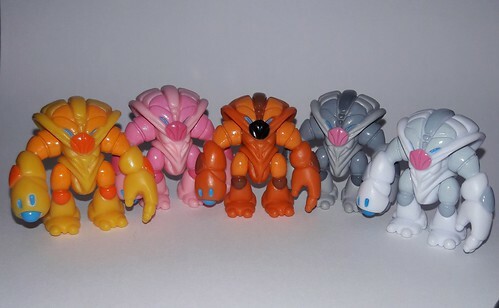 Of everything sent it touched on many things I was looking for, a couple things that I didn't even know existed and only ONE piece that was a duplicate ( the blue Crayboth). I needed everything else! So thanks again Secret Santa and Kranix for this years gift exchange. Hey all, just wanted to take the opportunity to say thanks to everybody that participated in this year's swap and that according to the tracking info everyone provided it looks like all packages made it to their intended recipients. I truly appreciate that given the time frame we were all able to make this work so smoothly. I hope that you all are enjoying the gifts you received BUT the fun isn't over yet. I will be posting contest prize packs soon and all swap participants (minus myself of course) are eligible to win. Winners will be picked at random so good luck! Thanks Ven for pulling this together. It was a lot of fun! Just want to give a shout-out to Rangerman who took my obtuse request and turned it into an awesome little package. (No pics, alas, but let me assure you: it was a lot of clear orange.) Thanks so much, dude! And thanks again to VENENOR who took over Secret Santa duties while I've been having a bit of a break. You all are going to be stoked once he reveals what's to come! captaincraybeard wrote: A huge thanks to kranix for the package of brand spankin' new orange goodness from the latest Bit Figs drop! I can't get enough of this colorway - and I've got a great little Glyceptor/Glyzapper crew to build with now! You'd better just post what you make to IG, dude! Prize Pack #1 (Crayboth Lot) goes to Rangerman! Prize Pack #2 (Nemesis & Mushi) goes to Talyn! Prize Pack #3 (Ureydak w/ Trogillian steed) goes to captaincraybeard! I'll have these shipped out by the end of the week, thanks again to all of you that participated in the Secret Santa swap this year!